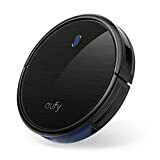 There’s really no question whatsoever that the Eufy BoostIQ RoboVac 11S is one of the best robot vacuum cleaners you can buy. It’s the updated version of the best-selling RoboVac 11, featuring even better suction than its predecessor despite being slimmer and more compact. 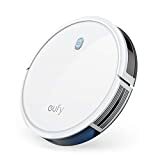 At $230, the RoboVac 11S is an absolute steal… but you won’t pay anywhere near that much if you get one right now. The black model is currently just $179.99 on Amazon, and the white version is only a few dollars more at $184.99.